We Make it Easy to Go Solar! At MASE, we make it easy for you to go solar. We guide you through all the steps from engineering the right system for your home through construction and maintenance. You can reduce your electricity bill with clean solar energy when we install solar panels for your home. Our roots in the energy sector date back farther than most in the region. As a division of the Arabia Group of Companies our energy sector heritage is decades in the making and a strong foundation for our modern day solar solutions. With our longstanding history, you can trust we will be here for the life of your home solar panel system. Our team is made up of certified engineering, business, construction and renewable energy experts. We are experienced in every solar energy life cycle phase, offering turnkey design, development, construction, maintenance and asset management of solar PV systems. Providing the right solar solution for you and your family is at the heart of our solar team! Not only will we construct the right solar panel system for your home, we will help you maintain it. We have worked hard to become one of the leading solar operations and maintenance teams in Jordan and the Middle East. 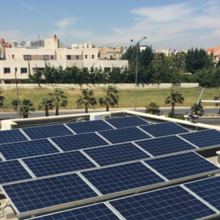 Currently we hold the largest single operations and maintenance reference in Jordan, Arabia One Solar. 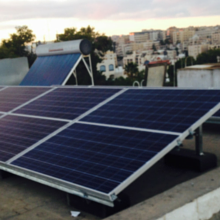 We also maintain commercial and community solar PV systems across Jordan and the Middle East. Our growing portfolio of solar projects we maintain is comprised of plants of all sizes.